In contrast to my normal projects on Behance or Instagram, most of them are about superheros and geek stuff, is this project like creating for a reason. 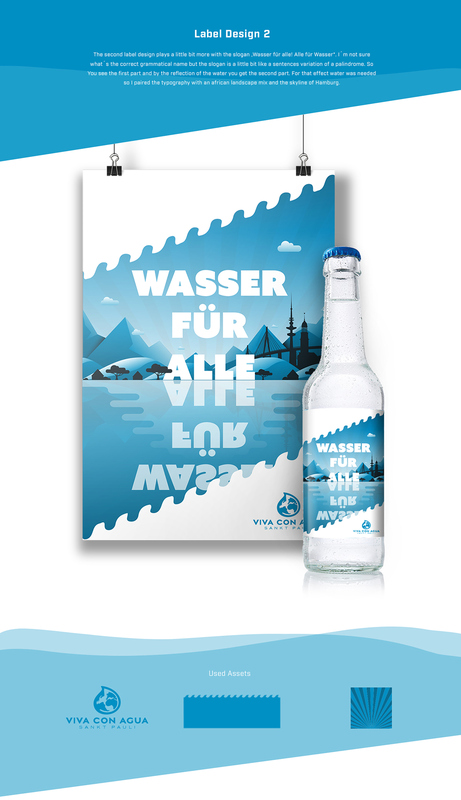 Viva Con Agua is an aid organization based and founded in Hamburg (St. Pauli), Germany. They are focusing on the access to clean drinkable water in countries like Uganda, Ethiopia, Nepal and more. As an example they collecting money to build fountains. 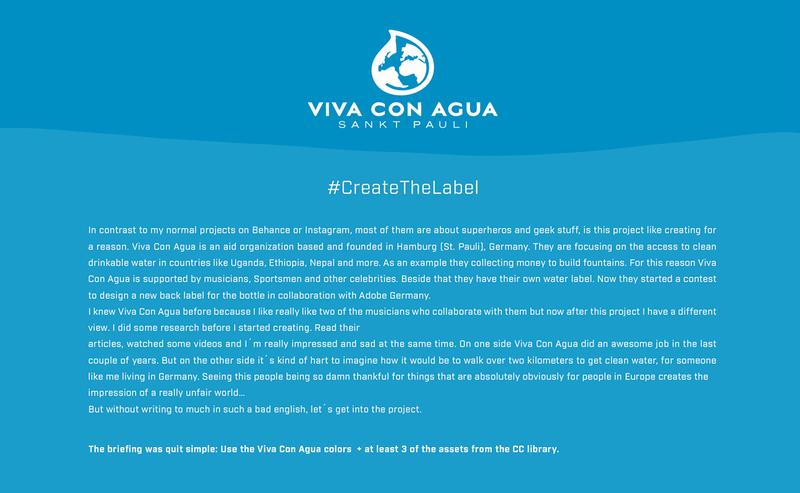 For this reason Viva Con Agua is supported by musicians, Sportsmen and other celebrities. Beside that they have their own water label. 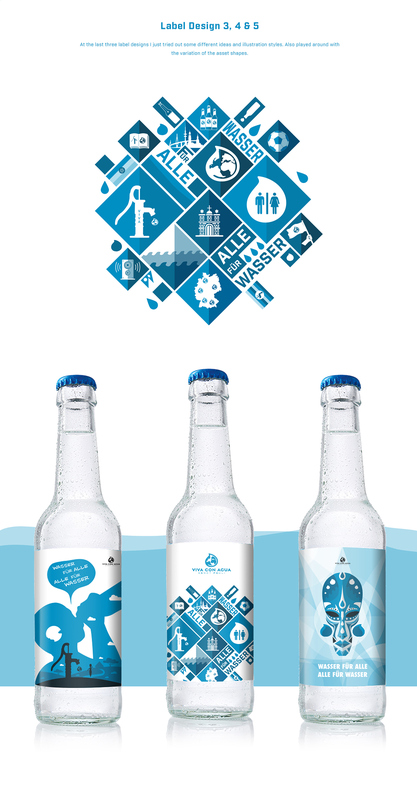 Now they started a contest to design a new back label for the bottle in collaboration with Adobe Germany. I knew Viva Con Agua before because I like really like two of the musicians who collaborate with them but now after this project I have a different view. I did some research before I started creating. Read their articles, watched some videos and I´m really impressed and sad at the same time. On one side Viva Con Agua did an awesome job in the last couple of years. But on the other side it´s kind of hart to imagine how it would be to walk over two kilometers to get clean water, for someone like me living in Germany. Seeing this people being so damn thankful for things that are absolutely obviously for people in Europe creates the impression of a really unfair world… But without writing to much in such a bad english, let´s get into the project.